Updated: District 1 Councilman Roberto Treviño said the San Antonio Planning Department is “not going to take another step forward” on the SA Tomorrow Comprehensive Plan without including the neighborhoods as true partners in the process. In a video interview, Treviño said he met with Planning Director Bridgett White and with her boss, Deputy City Manager Peter Zanoni, to establish a new direction and framework after NOWCastSA published videos and articles disclosing the planning department’s methodic determination to eliminate neighborhood plans in the Comprehensive Plan. Neighborhood leaders, who formed the Tier One Neighborhood Coalition in 2016 to fight to protect their community plans from the Comprehensive Plan process, celebrated their hard-fought victory. “Councilman Roberto Treviño deserves our thanks in insisting that our voices be heard by the City and that our neighborhoods be protected,” wrote co-founder Cynthia Spielman in an email to the 40 neighborhood groups in the Coalition. Watch the video interview here and scroll down to read more. The new framework will bring the city into compliance with the 2016 Comprehensive Plan ordinance language that says Neighborhood Plans will be “respected… integrated and incorporated” into SA Tomorrow. And, finally, it makes good on the Comprehensive Plan’s promise - in its first chapter - “not to alter or negate” Neighborhood Plans. The 55 neighborhood plans here on the city’s website range in length up to 254 pages, and each lists as many as 200 contributors who met for a year or more to create the documents, in collaboration with the city. When neighbors learned the Planning Department was intent on scrapping their carefully crafted plans, they felt betrayed and angry, as shown in this video of a Mahncke Park Neighborhood Association Meeting with Senior Planner Garrett Phillips. 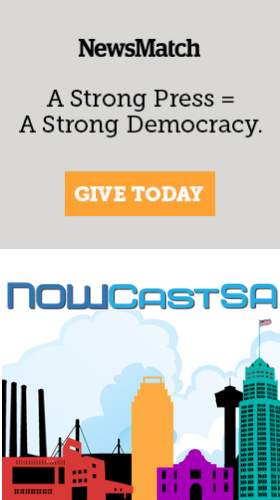 “I’m really proud that the neighborhoods stood up, and we’re going to protect that right, because that’s who San Antonio is,” Treviño said in a May 19, 2018 video interview with NOWCastSA. He credited Gonzales and Sandoval for helping correct the course of the Comprehensive Plan. “We re-established the hard work that we put in over the last few years to make sure neighborhoods have their place in the [Comprehensive] Plan - neighborhood plans specifically,” he said. Under the new framework, Treviño said, the planning department will work closely with the neighborhoods, and he has enlisted the local American Institute of Architects to help facilitate the some discussions throughout the community. “At the heart of all this, our responsibility as a city is to the community, and not the other way around,” Treviño said. “We need to maintain that trust, we need to maintain transparency, and we need to be very deliberate and clear about the words we use to talk about how we move forward.